But if you want to try to limit some of those other wintery traditions - runny noses, watery eyes and chesty coughs - it might be a good idea to follow these recommendations to improve your indoor air quality and give yourself a healthy start to the new year! 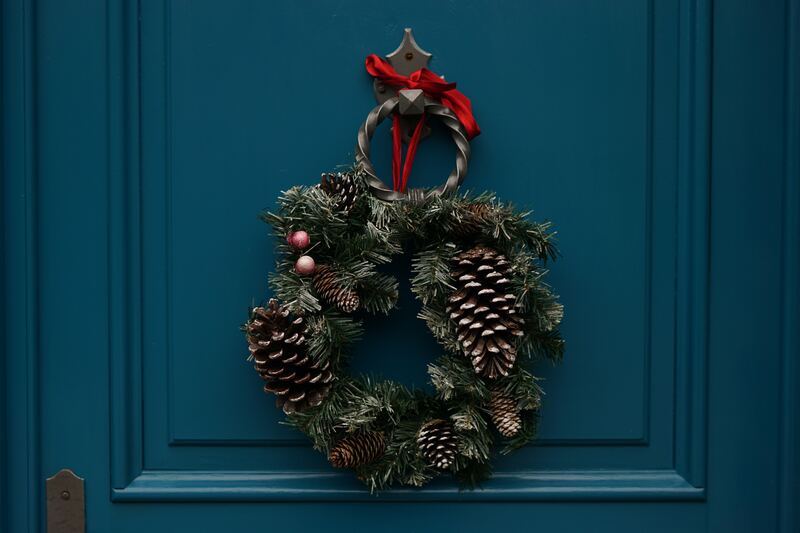 Before those sleigh bells jing-a-ling, give the house a good clean. Once everything is up, it will be hard to get the vacuum or the microfibre dusting cloth into the corners. Easter and Halloween have their own time, so get rid of the pesky dust bunnies and old spider webs to make room for reindeer and icicles. Those decorations of red on a green Christmas tree could use a quick wipe. The stockings are hung by the chimney with care, but where were they the rest of the year? You may not be able to see the dust or (gulp) mould, but that doesn’t mean it’s not there, imbedded in the fabric or hidden in the crevices. Dust and mould can really take its toll, exacerbating asthma and allergies. Give everything a wipe before you set it out this year. And though time is at a premium, it’s worth the few minutes it takes to keep dust at bay if it means you feel better throughout the holiday season. And that Christmas tree smell is enough… don’t add anything unnatural. Spruce and fir, turkeys roasting, biscuits baking, wine mulling. Christmas comes with all sorts of wonderful scents so there’s no need to add any more. Avoid the spiced apple air freshener and the cinnamon-scented candle. These add harmful volatile organic compounds into your air: you’ll be breathing toxic chemicals. If you just love filling the house with fragrance, here’s our tips for how to make your own, natural versions. If you have unpleasant odours and you don’t know why, an Airtopia test can help identify microscopic mould and other airborne chemicals. Once you know what is causing the problem, it will be easier to solve! When the weather outside is frightful, the fire is so delightful... on special occasions. This is the time for indulgence, we won’t argue. But Airtopia’s Head of Science, Tim Robinson, has identified the top five causes of indoor air pollution. Number one on the list? 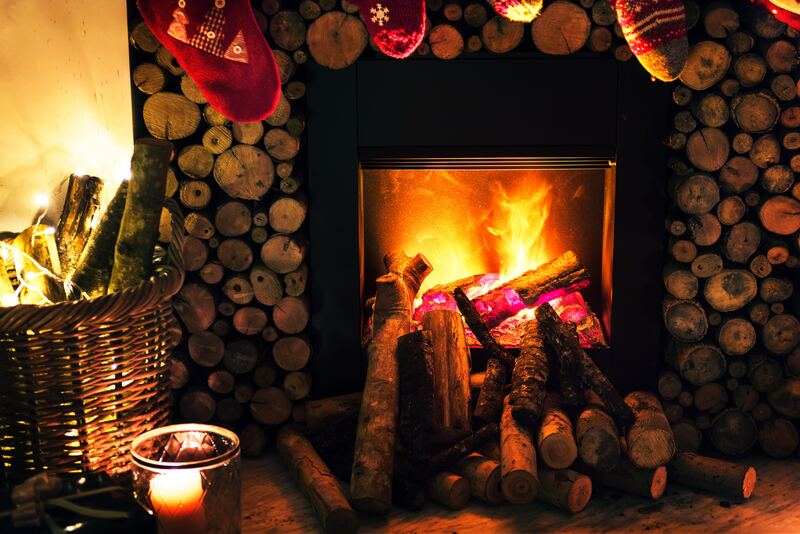 Indoor combustion sources, including gas stoves, gas heaters, wood burners, open fires and tobacco smoke. At high concentrations, the pollutants given off by these sources can cause headaches, dizziness, nausea, disorientation and fatigue. Small particles (which even candles can give off) can get deep into the lungs and beyond, resulting in cardiovascular disease, COPD, bronchitis and asthma. By all means, let the fireplace roar… let a candle bring you hope. But just as you keep an eye on your waistline, keep an eye on your exposure. Remember to use your extractor fans, open a window, clean up the soot and save the fire and candles for special occasions. Baby, it’s cold outside, but the house could still use airing out. When the temperature drops, it’s natural to want to batten down the hatches and keep everyone inside warm and cosy. But without proper ventilation, toxins like CO2, VOCs and formaldehyde in your home build up quickly and can make you feel really blue. Even those bottles of wine you didn’t finish (haha!) can emit alcohol into the air that isn’t healthy to inhale. It’s important to let fresh air flow through the house for about fifteen minutes a day. If you live in an area with poor outdoor air quality, choose a time of day when this will be lowest (like at night) or maybe think about buying your house a ventilation system for Christmas? We, at Airtopia, hope you have a very Happy Christmas and a Healthy, Hopeful New Year! In 2019, join us in Airtopia: an ideal state of air purity!